420 Glue is a high that will definitely glue you to wherever you happen to be sitting. It starts with a cerebral lift that boosts your mood yet still somehow leaves you relaxed and calm. As your mind fades into pure bliss, your body will fall victim to a powerful body buzz. Because of these effects, 420 Glue is a great choice for treating conditions such as chronic pain, depression, fatigue, nausea, and insomnia. This bud has dark lumpy forest green nugs with bright orange hairs, dark purple undertones, and a coating of tiny glittering white crystal trichomes. 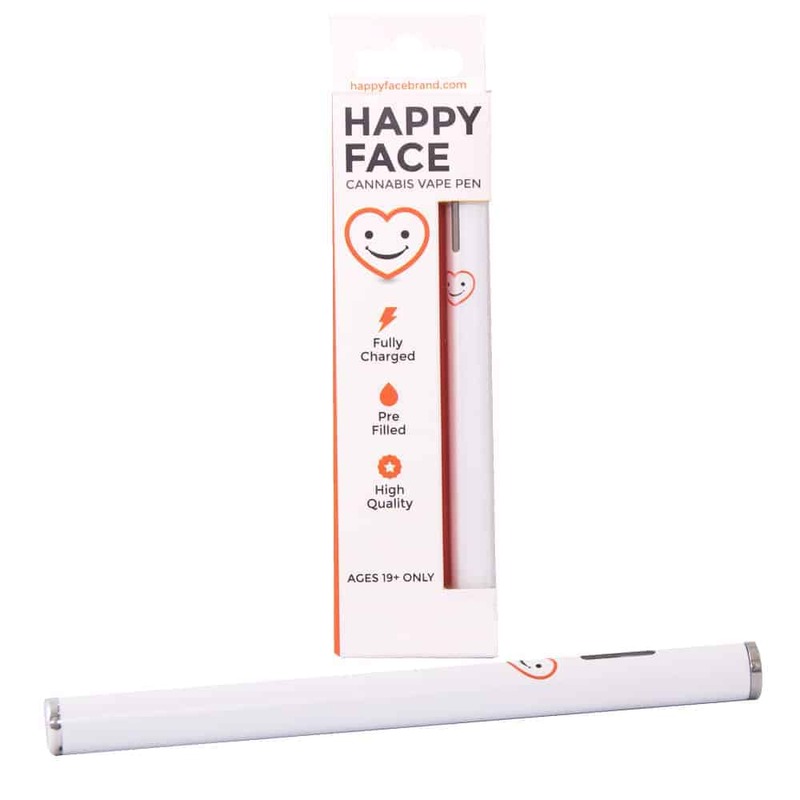 2 reviews for "Happy Face – 420 Glue – Indica – Vape Pen"
These lasted me a long time actually. Very pleased with this product. Purchased to check out for insomnia and so far it has fulfilled my hopes. Description of product is spot on!